How are Luxury Hotels Dealing with the Rise in Technology? Technology is such a part of everyday life that it seems unthinkable to spend a day without our smartphones, tablets and laptops. The luxury hospitality industry is acutely aware of the importance of guest technology, as for many, it’s now a prerequisite in choosing a hotel. 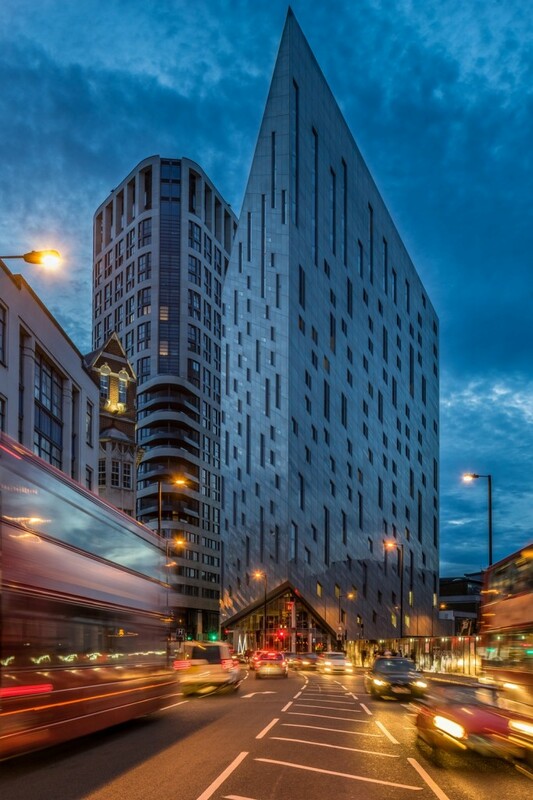 There are few better places to go to understand how luxury hotels are embracing the digital era than the brand new M by Montcalm in London, where Shoreditch meets Tech City. The location of the property says a lot about the atmosphere: this part of the capital is avant-garde and entrepreneurial, making M by Montcalm “trendy” just by being there. As we approached, we were impressed by the hotel’s unique, futuristic architecture. On arrival, the receptionist invited us to take a seat in the lobby lounge. Right there on the table in front of us, we were delighted to find a selection of tablets. Even as the receptionists check guests in, they can enjoy an array of services available on the tablets in the lobby, from checking email to exploring different apps. That is just the first example of how M by Montcalm is using new technologies to improve the customer journey.Afterwards, the receptionist showed us the rooms, taking time to explain all the facilities designed to make the guest experience easier and more entertaining.First, a tablet controls lighting, with various colours to match your mood, the air conditioning, and even the in-room aroma, with lavender a popular option for enhancing sleep quality. Every room also features the Handy Smartphone;a brand new service recently introduced at all Montcalm hotels and provided to all guests free of charge during their stay. The smartphone allows guests to make unlimited local and international calls to selected countries, and they can also enjoy internet access on the go with 3G data – making it easier for them to source and find new places to eat or sights to see. Needless to say, there’s a beautiful home cinema TV system in each room too, with numerous international satellite channels. Having visited the hotel, it’s clear that M by Montcalm is a suitably tech-enhanced place to stay for digital natives and those with a millennial mindset. With its raft of technological advances, it’s setting the standard for the new breed of luxury hotels catering for today’s tech-savvy traveller.